Visit the Island of Spinalonga with a licensed tourist guide to get the most out of your visit and day. Your licensed tourist guide will meet you at your hotel in the morning. The tour includes transportation from your hotel and licensed tourist guide,boat fare, entrance fees are also included and if you wish to enjoy a traditional lunch by the water’s edge at Plaka that also can be arranged. The scenic drive to ELOUNDA is beautiful but the view of ELOUNDA it self is breathtaking! 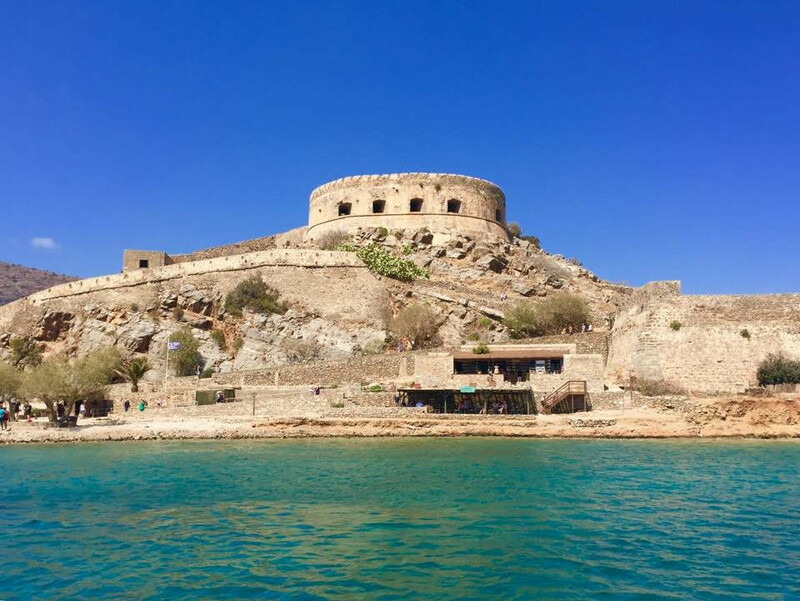 On route you will have the opportunity to stop for photographs enjoy the views, on arrival at Eloúnda you sail through Eloúnda bay to the Venetian Fort and Leper colony of Spinalonga. 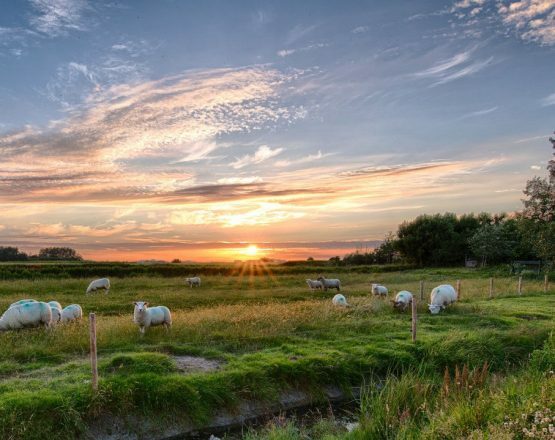 Along route your guide will deliver all the history and stories of the area for what you are about to see on the Island. The Island of the damned as it was known by the locals and Greeks like so many leper colonies around the world in the past. The crystal blue waters and captivating Fort somehow makes it hard for a visitor today to realize the sadness, grief and pain of the souls that once were exhaled here some even forgotten. After a 15 minute sail you arrive to Spinalonga, your licensed guide will get your entrance tickets, you will not have to stand in the sun. The tour begins on foot as your guide explains and points out the history of the Fort and Leper colony and its people that suffered on the island of tears. You see the market street, one of the coffee shops, Dante’s gate, disinfection room, churches, residences, burial grounds as the island comes alive again. 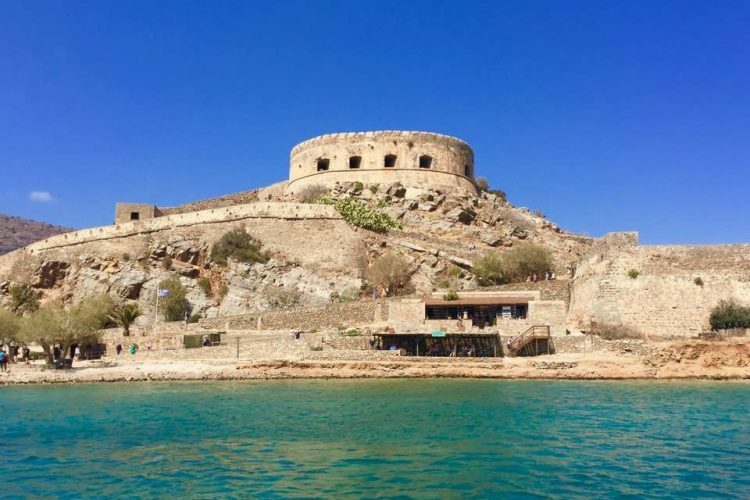 Our stay is around 2 hours on the island of Spinalonga give or take, there will be plenty free time after the guided tour to take photographs, get a feel of the place, enjoy the stunning views despite the sad history of Spinalonga. You sail back to Eloúnda and there is free time to swim and enjoy lunch! After your visit of Eloúnda you continue to the capital of Eastern Crete Ag.Nikolaos, the drive is about 20 to 30 minutes here in this pretty city you have the opportunity to do some shopping enjoy coffee and ice cream or even a cocktail. Ag.Nikolaos is also famous for its lake joined today with the sea and harbor of the city, a sacred lake in antiquity. Your licensed tourist guide will show you the highlights of Ag.Nikolaos and after your visit of this bustling city it’s time to return home to your hotel. The duration of the tour depending from what part of the island varies, if you are staying on the Eastern side of Crete you are closer to The Island Spinalonga and Eloúnda. If you are staying further West you have a longer journey and ground to cover! 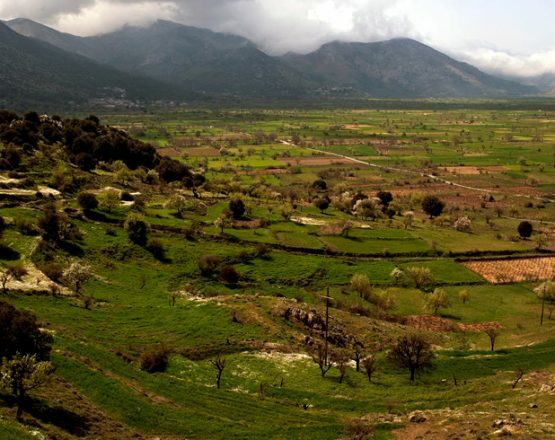 Either way the scenery on route is lovely and you have the opportunity on this tour to see, learn and experience a large part of Crete. The Island of Spinalonga and Eloúnda is one hour and half approx from Heraklion and three from the area of Rethymno. Either way it’s a must! Seeing Eloúnda, Spinalonga and Ag.Nikolaos at your own pace with your private licensed and expert guide away from the crowds and mass tourist industry makes this tour a memorable day well worth it!